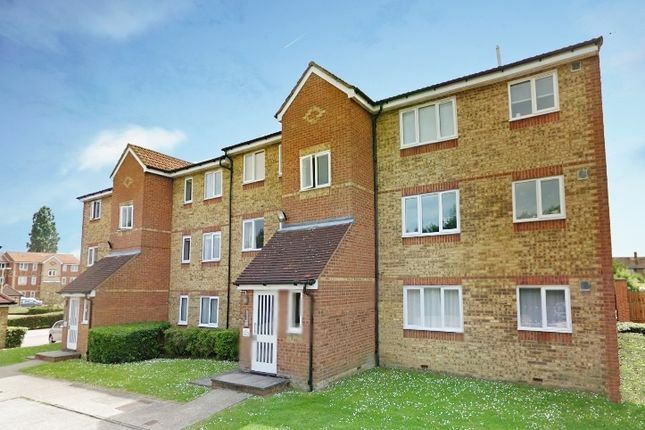 A great opportunity to purchase a one bedroom flat in Watford, close to local amenities, nine minute drive to Waford high street and train station that have links running into London. The accommodation comprises of a reception area, kitchen, bedroom and a bathroom, perfect for first time buyers or investors. The property has had new windows fitted and new electrics. Externally there are communal gardens and two allocated parking spaces. Internal inspection highly recommended. For Sale by Springbok Properties' "Buyer-Friendly" Auctions, putting you in the driving seat thanks to the modern conditional auction method. We combine the speed and certainty of traditional auctions with the best aspects of an estate agency sale. Our sellers are motivated and willing to price their properties competitively in order to ensure a fast and secure sale. You can now secure the sale with a small reservation deposit of £2,830, this forms part of the final purchase price, much like the traditional deposit. It is not an extra cost. Paying the reservation deposit ensures that the seller takes their property off the market as soon as the sale is agreed and reserves it exclusively for you, eliminating gazumping and the loss of fees that buyers may face with the traditional estate agent's approach. You get a fixed exclusivity period (approximately 4 weeks) in which you can arrange surveys and prepare to exchange contracts, safe in the knowledge that you will not be gazumped by another buyer. Get the best of both worlds: You get to buy properties with a mortgage which are normally reserved for cash-rich investors and cash buyers and you get the security of an exclusive auction transaction with a much smaller deposit. Don't miss out on this realistically priced property; call us today for further information and to arrange a viewing. Please note this is a realistically priced property and is likely going to create a fair amount of buying interest to achieve a faster sale. If you're interested in buying this property, we'd urge you to contact us immediately to avoid losing out.